chosen as their K element will be featured in their post. 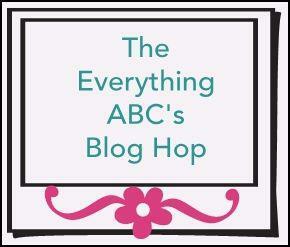 If you have just hopped onto my blog, please start at the beginning at Amber's blog ~ Scrapper's Therapy. 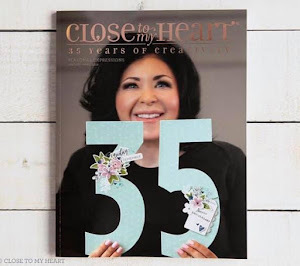 If you came from Theo ~ Celebrate Crafts then you're on the right track! The letter "K" represents the word "KEY". I made two projects using the Key Moments Everyday Life stamp set and For Always paper packet. Specifically I concentrated on using the key in each project. The first item I made was a corner book mark. I tried to make it masculine so I could give it to my BF who is an avid reader. I used the Art Philosophy cart to cut the square and the decorative glitter paper overlay. I stamped the key and used pop dots to give it some dimension. I blinged it out for some added flair. Who doesn't love a little bling?? My second project was a card using Dream Pop paper. I tried a new type of card from Splitcoaststampers. This card is called Cami's Trifold card. Pretty simple and I like how it turned out. I again used the "key" stamp to represent my "K". I used the Art Philosophy cart page 41 <circle 3> to cut the decorative circle. I adhere it to the paper and then cut a circle out the middle. I blinged out the remaining edge of the circle. 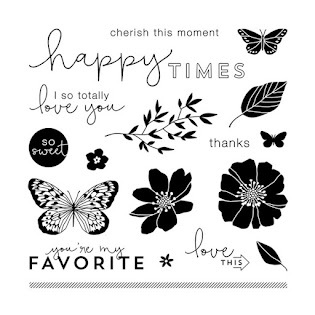 I used the Love Life stamp set for the sentiment "Happiness Lives Here". 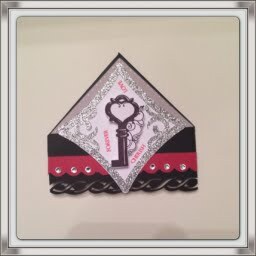 If you want full details on how to make this type of card please visit Splitcoaststampers. I am the last stop on the hop. If you started with me please go to the beginning to Amber's ~ Scrapper's Therapy blog. Here is the complete lineup in case you get lost along the way :) Thank you for stopping by and Happy Crafting! Clever, I didn't even consider key. Beautiful project, tfs! Cute bookmark and card! I wouldn't have picked the card as dream pop but I love it!